An evaluation is only as good as its use. There is little value investing time in analysing your data and writing a report if no-one bothers to read it or if people are nodding off during your presentation. A well-presented evaluation is more likely to be read and subsequently used than a poorly-presented one. 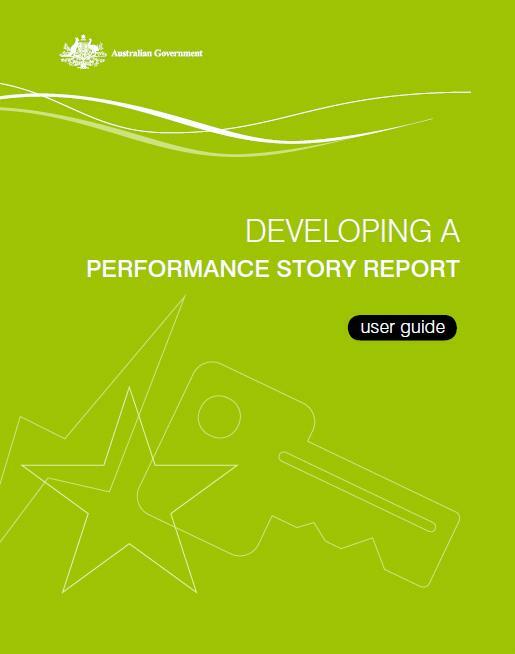 Remember that the key to an evaluation report is to make a "value judgement" based on the monitoring data that you have collected along they way. Evaluations may have several audiences, each with different requirements both in terms of the questions asked, and they way the answers are presented. key dates for reporting your findings. 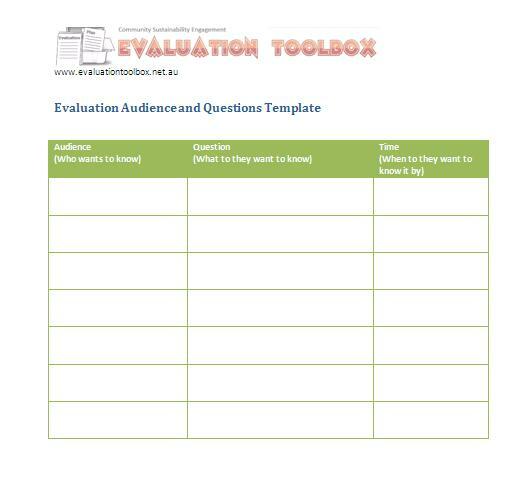 You can download the M&E Audience and Evaluation Questions Template. Now that you have undertaken your evaluation, you can decide on the best way to report back your findings. Evaluation reports have traditionally been considered long, dry reads, but they do not necessarily have to be so. It is important to understand the evaluation audience and how best to present the key evaluation findings to them in a format that is meaningful to them – that is, one which will lead to action. For example, you may want to prepare a short table that outlines your evaluation audience and the most appropriate evaluation formats. The presentation of evaluation findings should not just be based on reporting data collected. Your presentation, be it a report or slide presentation needs to reflect on what the data means for the project and analyse how it informs a response to the key evaluation questions. Where appropriate the evaluator can also hypothesis ‘why’ certain outcomes were or were not achieved. 36 people attended the workshop The workshops did not attract as many participants as planned. Only 36 people attended compared to the original target of 60. The participant demographics was also not representative of the intended audience. A likely reason for this is that the workshop clashed with a number of other community events that drew potential participants away. 86% of the participants have stated they are taking shorter showers The project delivery model was successful in driving more sustainable behaviours. This is supported by 86% of respondents stating that they had reduced their showering time from their participation in the project. A key factor in changing behaviour was the shower timer that was provided to participants to prompt them to get out. 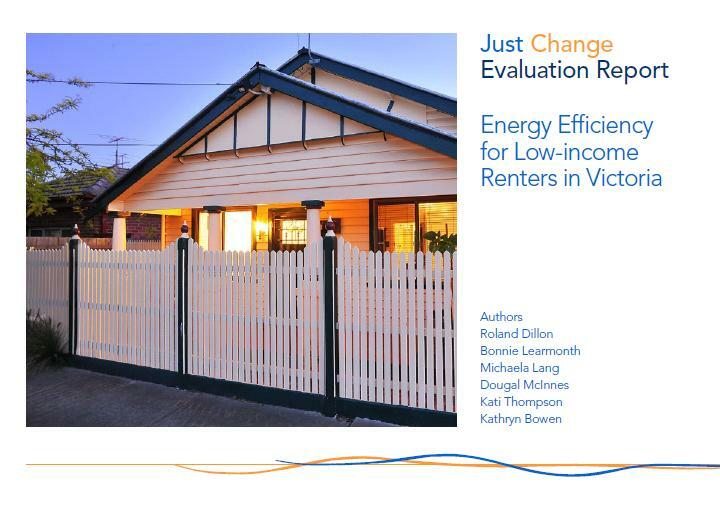 An overview of what should be included in a detailed evaluation report, and how it can be formatted, is presented here. 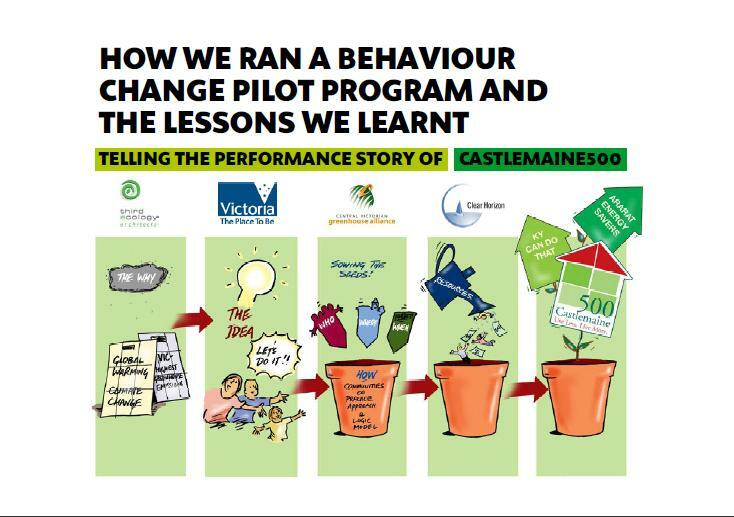 The Castlemaine 500 project developed a storybook to present their findings. 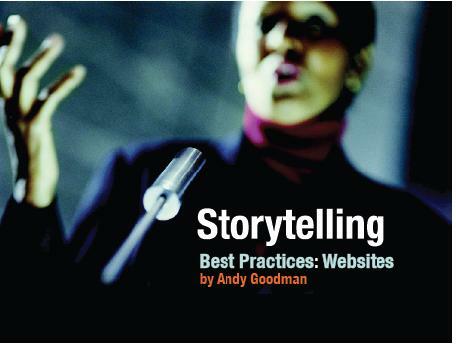 Storybooks provide the evaluation information in a manner that is visually appealing and less dry than standard evaluation reports. 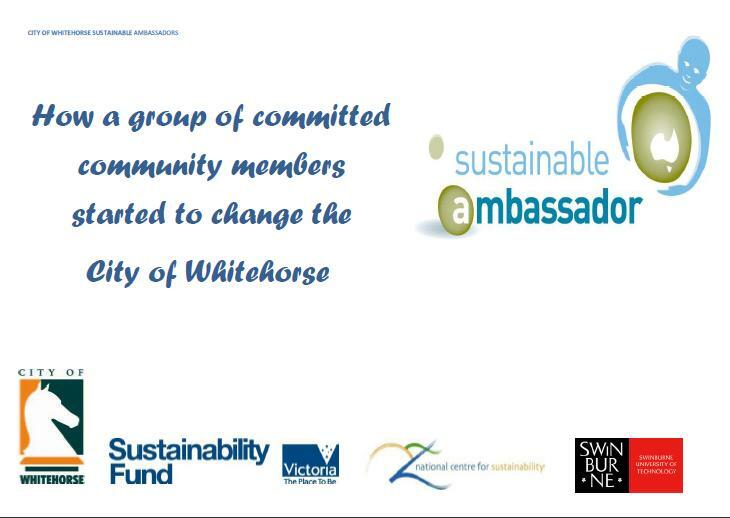 The City of Whitehorse Sustainable Ambassador program used short storybooks to present the participants projects.